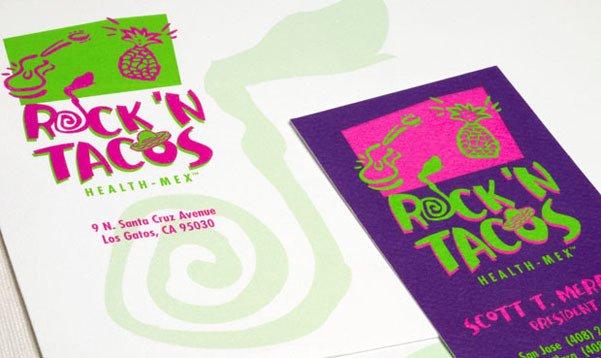 Rock ‘N Tacos is a chain of restaurants in California that puts a spin on typical Mexican cuisine by offering an array of healthier dishes. e design was asked to create the brand identity for this newly-formed chain of health-Mex restaurants that would be inviting and fun for customers. The bright, cheerful environmental graphics reflected the great energy of their restaurants while showcasing their offerings of a healthy menu and entertainment.